It is always best to pre-soak beans and is essential if you are on GAPS /SCD. Although not a big job it is a fag to remember to soak things so this recipe will make enough hummus for a couple of weeks (I split it into 3 and freeze two batches). You could just use half the ingredients for a smaller batch or to test out the recipe. It should tell you on packaging how long beans need to be cooked for. WIth haricot beans its at least an hour. Blend all the ingredients except for olive oil and paprika in a blender. 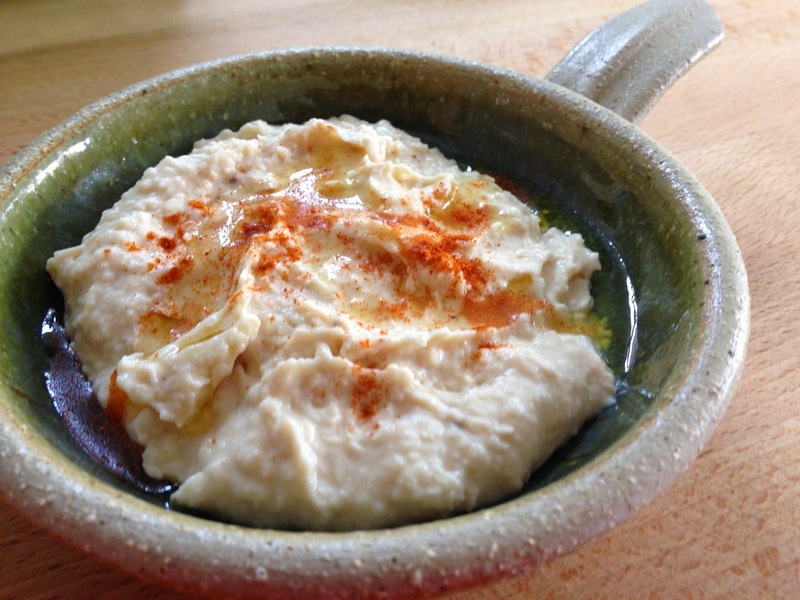 If you or your kids like your hummus more bland you could start with a little less garlic and cumin and taste first. Keeping the blender running add the olive oil in slowly.